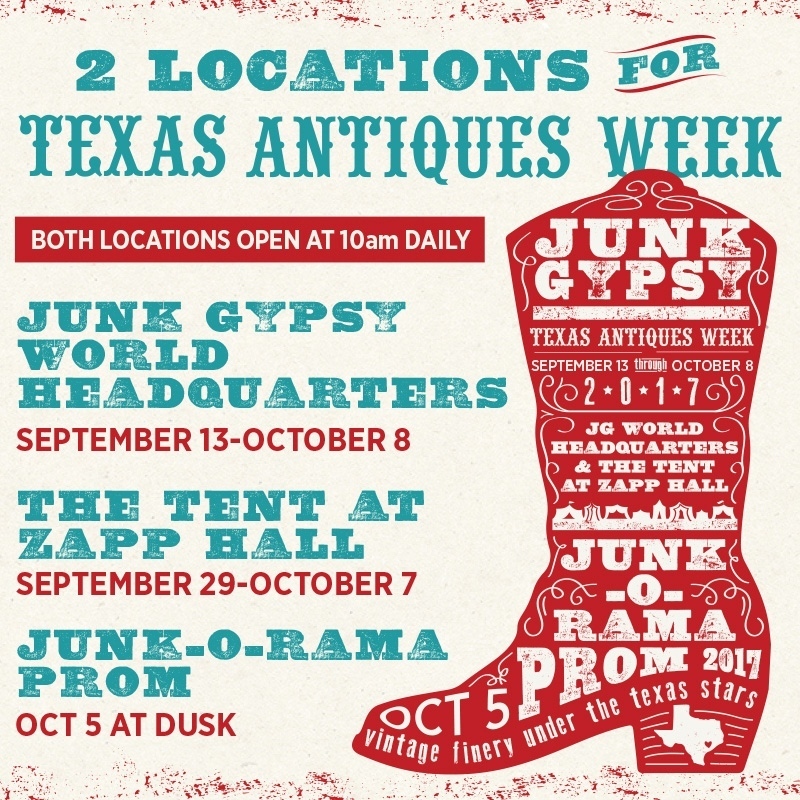 consider this your Texas Antiques Week 101, fall 2017 edition. 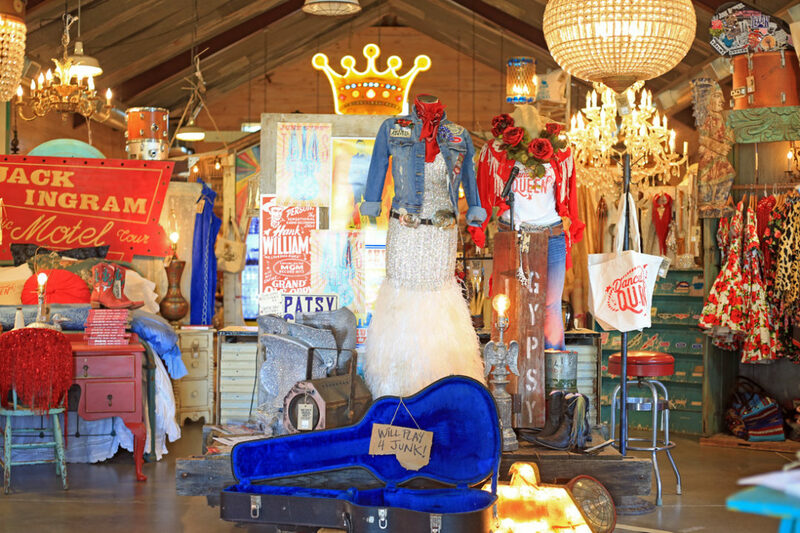 we’ve been hard at work redecorating the entire store for the past month….we’ve hauled in lots of fresh rusty, crusty junk and we have all kinds of awesome new goods! 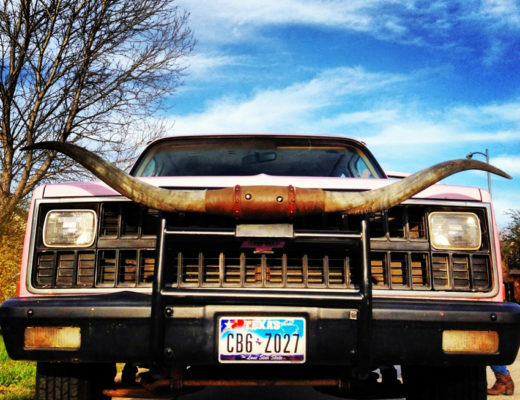 inspired by dancehall queens and retro texas style…we can’t wait for y’all to come and see it! as you all know, the dates can get a little confusing. and this year, they’re more confusing than ever. we’ve been getting lots of questions (which is really never good because we’re confused too! :)). keep reading…we’re going to try to explain what is basically equal to the quadratic equation in our world regarding comprehension level. 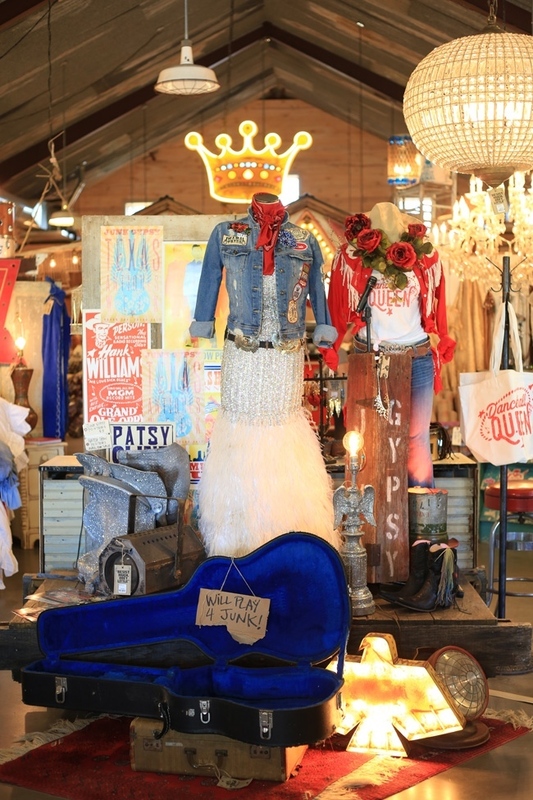 50 years ago a trailblazing woman named Emma Lee Turney started a round top antique show in a barn in round top. She set the dates according to the farmers almanac. 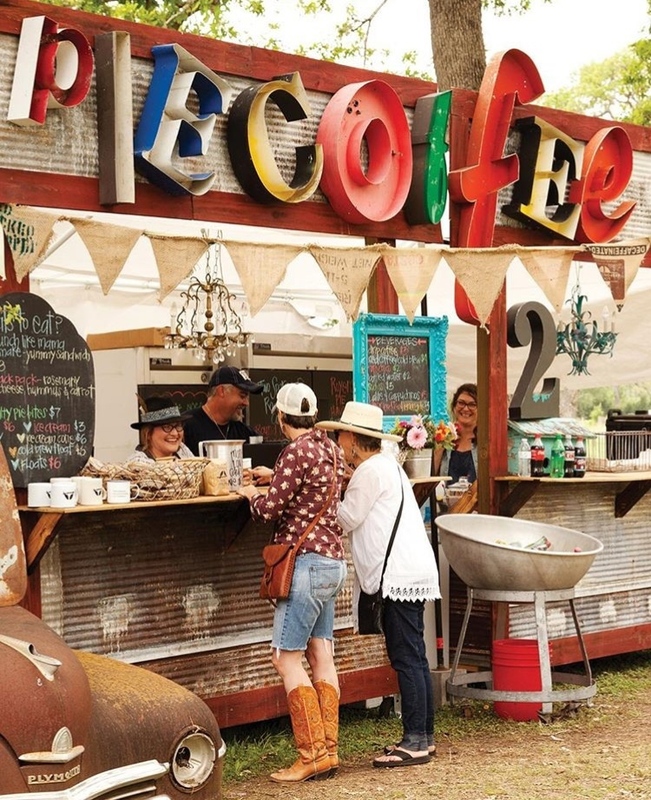 soon the show expanded with other dealers setting up on the sides of the road in cow pastures from round top to warrenton (5 miles away) … and expanded from only a weekend show to a full week. and now 50 years later it’s almost a full month. each show is run by different people and there is no governing body; therefore, each show has different dates. 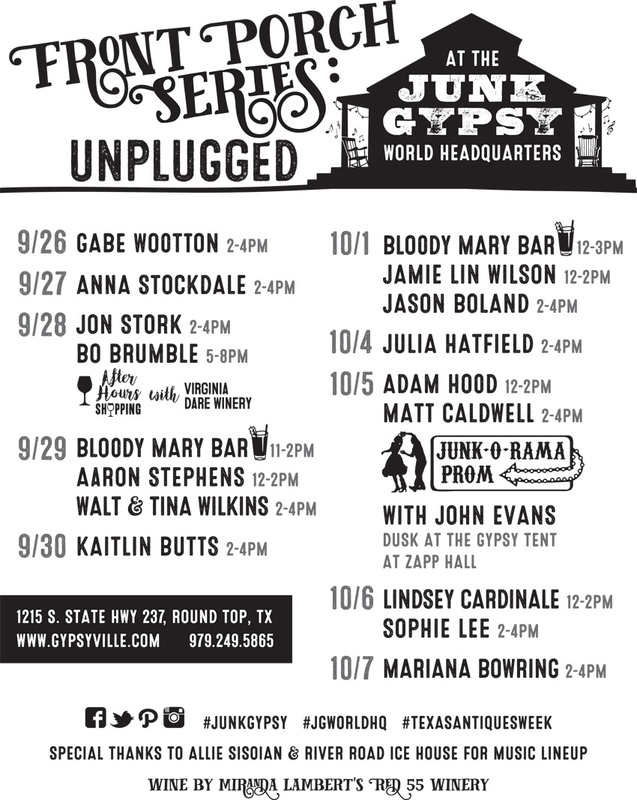 we have a store so we’ll be open the whole time, but our special antiques week festivities (Front Porch Series, Miranda Lambert wine, Junk-O-Rama PROM, Bloody Mary Bars, Royers in the front yard, etc… ) will be from sept 26 – oct 8. the Zapp hall show will be sept 29 – october 7 .
if that didn’t help, we recommend ANTIQUE WEEKEND.com to clear through the confusion. 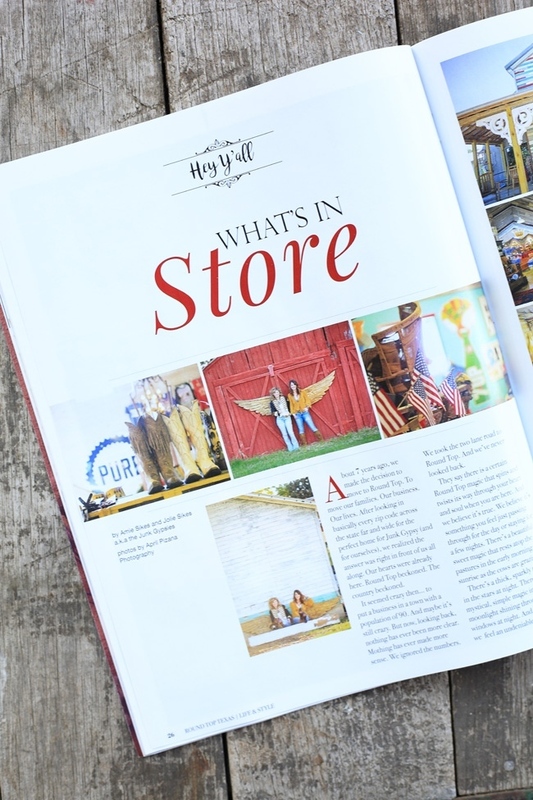 last spring, we hosted our first ever after hours shopping event…it was SO MUCH fun that we decided to do it again! everyone is invited!!! as you may know, we’ve partnered up with Virginia Dare Winery (seriously, it’s a tough, tough job…but SOMEBODY has to do it…read more about our partnership HERE). the good folks from Virginia Dare Winery will be here all the way from Sonoma County. this wine label has a rich history that dates back to 1835 … it was one of the first wineries to sell wine after the repeal of prohibition back in 1933. It eventually saw turmoil and almost faded into history were it not for the The Francis Ford Coppola family that has kept the name alive. 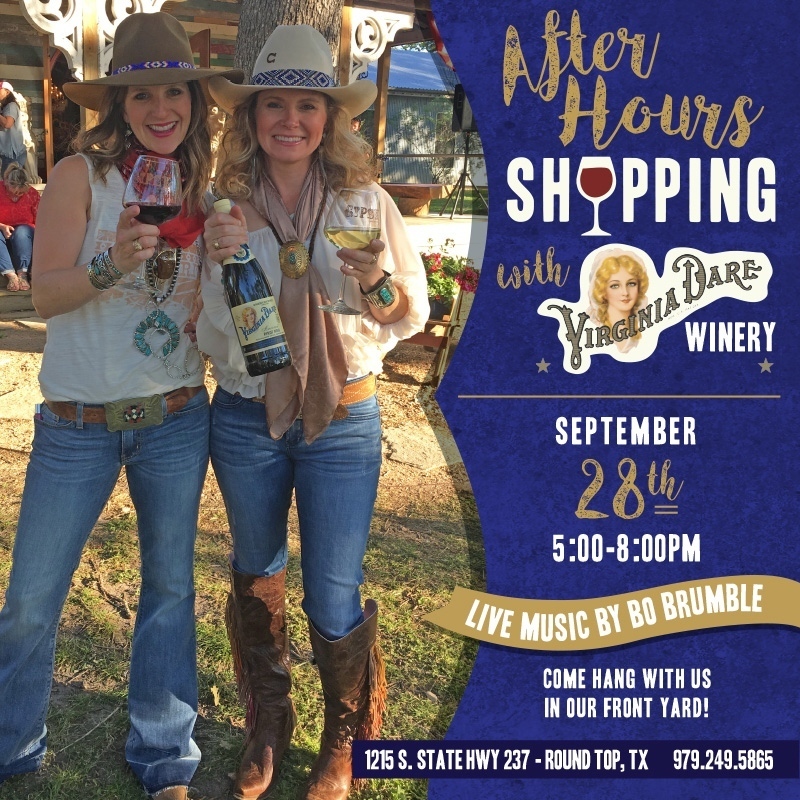 there’ll be music by Bo Brumble, food, WINE, and after-hours shopping! it’ll be a good time had by all! y’all bring yo friends and yo neighbors! pull up a chair and hang in our front yard! last spring, we featured Royer’s Pie Haven and Two Sparrows Roasting Co in our front yard…and we’re happy to announce they’ll be back again this fall! 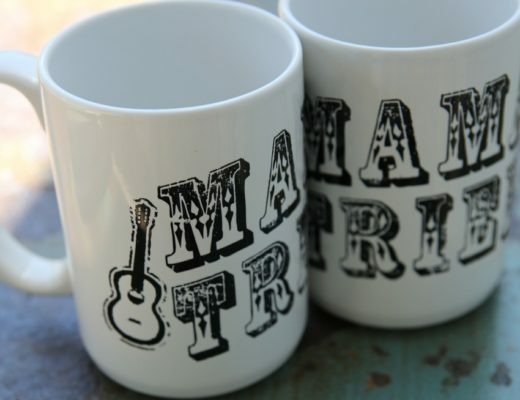 serving up all kinds of coffee (small batches roasted locally right here in Round Top!!! ), Royer’s famous pies, Blue Bell ice cream, sack lunches featuring tara’s homemade chicken salads, breakfast tacos, and moreeeeee!!! and THE BEST ICED TEA IN THE WORLDDDDDDD. yep, you read that correctly. 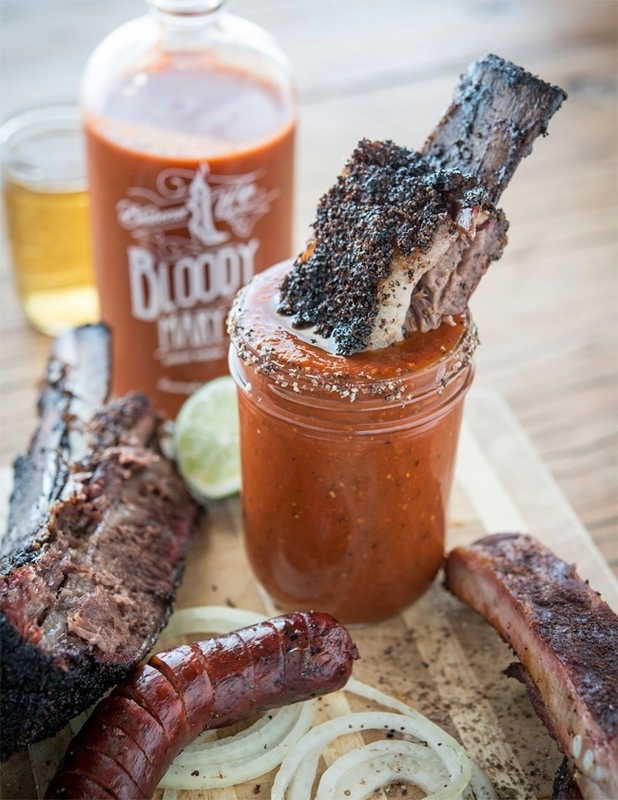 there will be a Barbecue Wife Bloody Mary Bar pop-up on select dates featuring artisan, nothing-but-good-stuff-in-it, austin-made, bloody mary’s with Tito’s vodka! 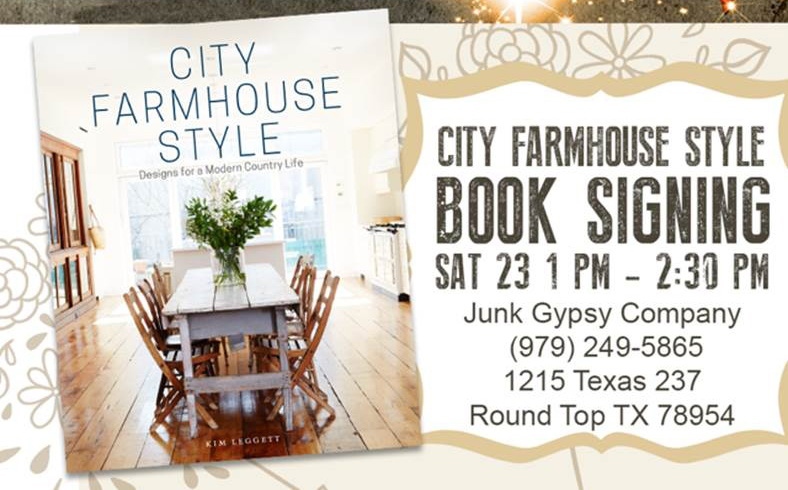 stop by the JG store for a visit and a signed City Farmhouse book, recently featured by Oprah.com!!! chapter 7. where to get the wine. 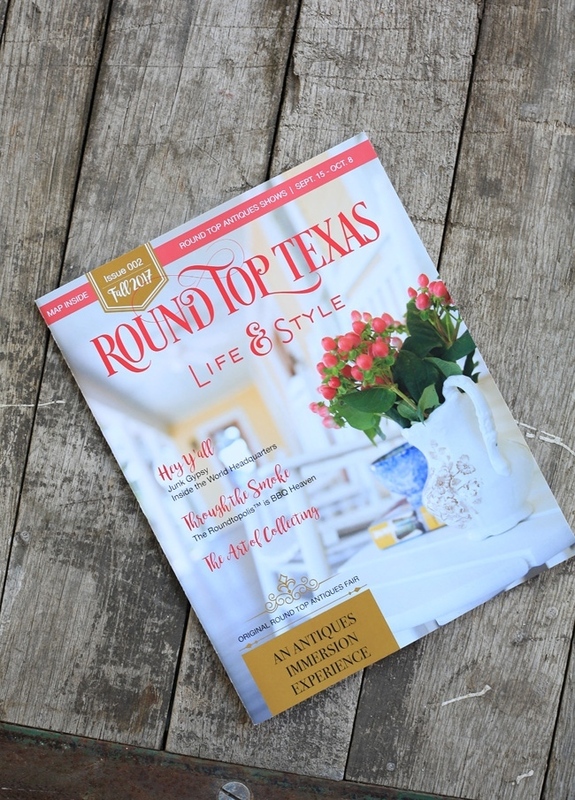 snag a local magazines to help guide you through your days and nights at Texas Antiques Week. and click here for even more info! I’d also like to know the dates for the fall year 2018. 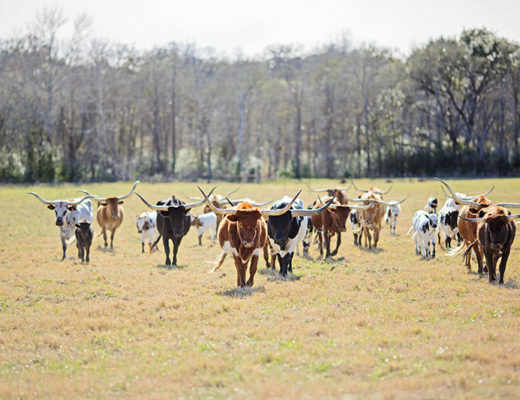 We were at Round Top this year about 3 weeks to early. ? Fell in love with your little town. Your store is fabulous!!! We have family to stay with just need dates.